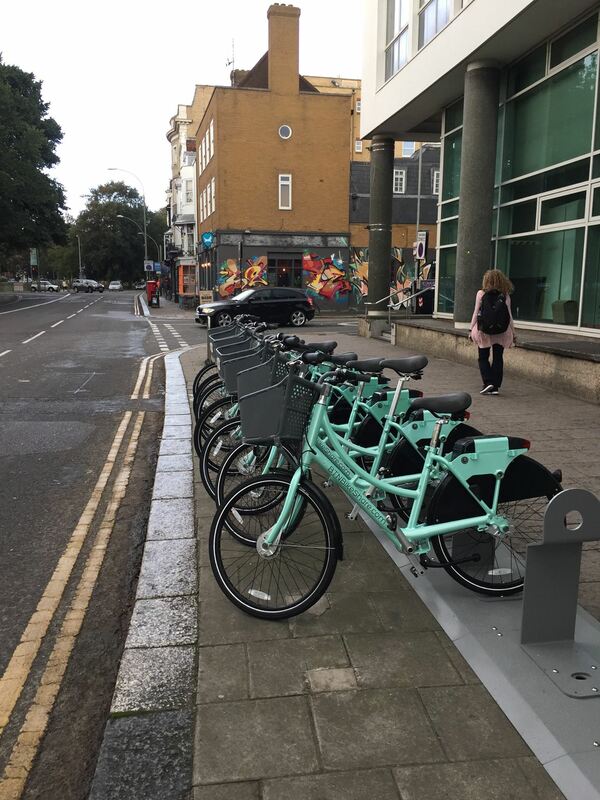 BTN Bike Share scheme is Brighton’s easy to use PAYG bike hire scheme launched in summer 2017. Hire a bicycle from docking locations across central Brighton and at our campuses, from the BTN Bike share scheme, and enjoy getting around the city by bike for as little as £1! Find the BTN bike docking stations on our campuses on the interactive map. Plus enjoy a 10% discount on the annual membership plan as a University of Brighton member of staff or student. This offers annual membership at the discounted rate of £65 (normal rate £72), which includes 60 minutes of use per day. Additional minutes are charged at 3p per minute and daily charges are capped at £12. To claim the discount, download the Social Bicycles App for Andriod or IOS and register with the Life Bike BTN Network, under the University of Brighton plan using your University e-mail address.